Our national census tells us about 54 million people in the United States are living with a disability, which is about 1 in 5 Americans. CNN’s research shows over 65 million Americans are taking care of family members with a disability. One out of every four veterans returning home from Afghanistan and Iraq are returning home as a disabled veteran. 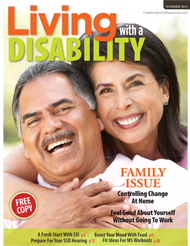 Living disabled is an American challenge that touches nearly every American family. It’s an election year, and politics brings a lot of forgotten topics into discussions all over the country. 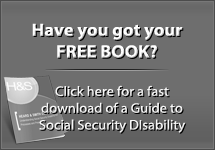 I’ve recently been reading what seems to be a coordinated effort to add the Social Security Disability program to the list of what’s wrong with this country. As an insider I am shocked and saddened to see political forces try and propose cuts to the disability program. I can’t help but note that their propopsal would place even more challenges on the backs of the poorest among us without considering a single cent of new taxes on the rich. From my work as a disability lawyer I can tell you the disability program isn’t perfect, but the solution we have is saving lives and allowing the poor and sick to live a life of dignity and respect. The disabled don’t have an easy life in this country. The unemployment rate of the disabled is up to 10 times greater than the national unemployment rate, and the disabled are also more likely to be poor. The disability program pays very modest disability payments to people who are unable to work as a result of a serious medical condition. 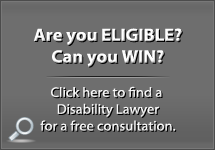 Winning disability benefits is not easy, the vast majority of people who initially file for disability are denied. 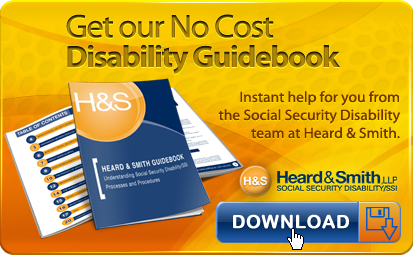 American workers pay payroll taxes that fund our disability benefits program, and the program is NOT in dire straits. 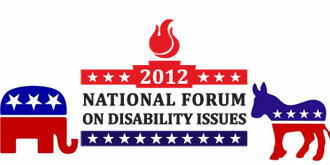 October is National Disability Awareness Month, and on September 28 the 2012 National Forum on Disability Issues was held. Both presidential candidates were invited, however each declined to attend in person. Each candidate sent a supporter in their place to represent their view of the future. Both candidates have their unique vision of how to fix our economy, and this discussion involves the government spending related to the disability program. Please remember to vote this year, and when you vote remember the people who aren’t as lucky as you. 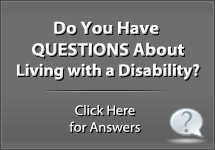 Remember the 1 in 5 Americans that are living with a disability. Remember the 1 in 4 vets that return from our wars as newly disabled young people. Also, think about how you would want to be treated if you fell on hard times. 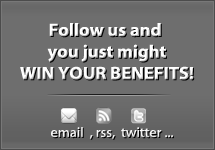 Now more than ever Americans of all political parties should take steps to protect our disability benefits program. No American should tolerate the unconscionable proposals to gut aid to the poor while allowing the most fortunate among us to pay the lowest tax rates in the modern history of our country. If you agree we should not allow politics into the debate on the disability program please like this article to spread the word! Next post: Preparing for the Holidays!